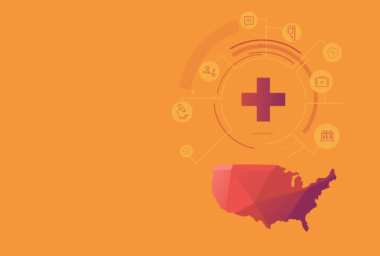 Which trends should healthcare brands be paying close attention to when it comes to the Hispanic market in the United States? What impact will this increasingly important demographic have on how care, services, and products are marketed and delivered? To find out, check out the new infographic, The Hispanic Healthcare Market: 6 Things Brands Need to Know, which was developed by MDG Advertising. It highlights key insights from a set of recent independent research reports and pieces of census data. A growing group: The number of Hispanics in the United States is projected to reach 119 million by 2060. Discover what this means for your healthcare brand. A diverse demographic: The Hispanic demographic is made up of a wide mix of backgrounds and ages; for example, 33% are below the age of 18. See why these differences matter. A mix of languages: Some 38% of Hispanics ages 18 to 29 say they’re bilingual. In other words, marketing to Hispanics should not necessarily equate to always utilizing just Spanish or English. Learn how language trends vary by age. Different healthcare expectations: Catering to the Hispanic healthcare market doesn’t mean simply providing the same offerings. The demographic has different expectations of everything, from care to privacy. Understand these nuances in-depth. The importance of mobile and digital: Hispanics surpass non-Hispanics when it comes to using digital as part of their healthcare. In fact, they lead all other consumer groups in 23 out of 25 uses for mobile devices. See how this impacts behavior. A market open to messaging: Hispanics are 23% more likely than non-Hispanics to say that online, TV, or radio healthcare marketing messages led them to take action. Learn why this matters for marketers. To find out how to make the most of this information for your healthcare marketing efforts, check out MDG’s infographic, The Hispanic Healthcare Market: 6 Things Brands Need to Know. Discover the benefits data can provide to your healthcare marketing strategy when reaching out to the Hispanic demographic. Contact MDG Advertising today at 561-338-7797 or visit mdgadvertising.com.